How Often Should You do Isometric Exercise - Daily. That's the short answer...BUT...it's not that simple. Recently I posted an excellent Isometric Exercise, known as the Kiveloff Isometric. You can read about it and learn how to do it here - Solve High Blood Pressure and get in great shape. It is recommended that you perform this isometric daily, in fact 3 repetitions 3 times a day. However many who have read 7 Seconds to A Perfect Body, Project Dragon etc know that I advocate 7 days of rest between training the same body part (if you trained your arms Tuesday, don't train them again till next Tuesday) or at least the same aspect of that body part. (Eg. If you've done a a full biceps contraction on Monday don't do that again for at least 7 days, but on Tuesday you could do the Triceps Press down and so on). 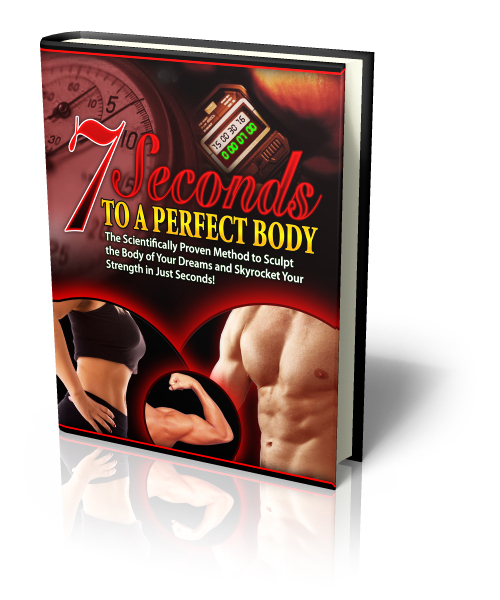 In 7 Seconds to A Perfect Body I teach maximal isolated isometric contractions. The important word here is isolated. A given muscle is trained in a series of positions to overload and maximally contract that muscle. This stimulates FG fibres and causes muscle growth and strength development. But how is this? If you contract as hard as you can surely that's a maximal contraction. Yes...and no. Muscles work in opposing pairs. Your biceps vs your triceps is a good example. One shortens the angle the latter extends it. Another aspect of this is the actual intensity of contraction. Maxick taught that to fully contract a muscle its opposite number must be fully relaxed. As such during the Kiveloff Isometric your muscles and fighting each other and roughly are about 50/50 each side, preventing a full isometric contraction of any one muscle. The goal of the Kiveloff isometric is to regulate blood pressure, sugar levels and provide light toning. It is NOT designed for maximal strength or muscle growth as it does not tap the FG fibres. Use the right Isometric protocol for the right job ;-) If you've wondering what type of isometric program you need check out my programs. In the meantime do this isometric every day!